Hosted by the Indian Culinary Forum & Hospitality First in association with ITPO, the 14th edition of the annual food event- Culinary Art India was a five-day affair starting from March 12. 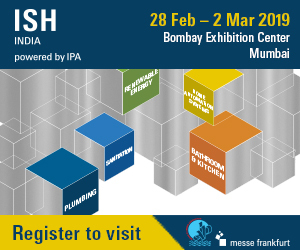 The event is known for its thrilling competitions among the chefs in different categories like Plated Appetizers, Contemporary Sushi Platter, Plated Desserts, Authentic Indian Regional Cuisine, etc. This year too, chefs – experienced and newcomers – will lock horns to win coveted prizes at the Indian Culinary Art Challenge. 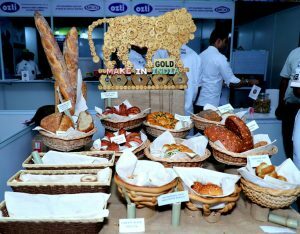 Till last year, there was only one category open for students but the keeping in mind the number of participants and their incredible skills and talent, the CAI allowed them to compete in three more categories- Plated Appetizers, three Course Set Dinner Menu, Desserts and Enthusiastic Hobby Cooks categories. 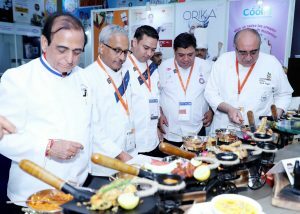 Noted Chef Satish Arora presided as the Chairperson of the jury in this year’s competitions while Chef Sireesh Saxena was the organising secretary.By hosting this annual festival, the CAI aims to establish a professional platform where culinary professionals across India can display their individual and combined skills and creative talent, and also learn, share experiences and collaborate with each other in a purely businesslike and competitive environment.